Here are four EDI data repositories that may have some cobwebs. Nothing is more frustrating than a cluttered closet. Equally frustrating is data clutter in our systems limiting performance and making searches exhausting. And there’s a lot of data you need to find, and fast. 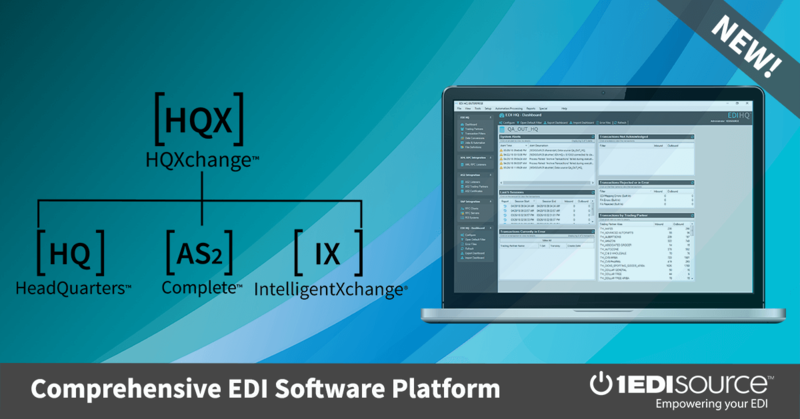 In the CPG industry, document retention requirements for EDI 850 purchase orders and EDI 810 invoices range anywhere from three to seven years. On the other hand, healthcare and government agencies can require housing data longer, maybe forever. But whatever industry you’re in, companies need a data archive strategy that allows the data to be moved from your active source or database while continuing to make data easily accessible. Automating this process is optimal. Although the concept of data archiving is simple, there are some data repositories that you may not have thought of, or can be easily overlooked. Here are four places that can help you clean your data closet and run more efficiently. 1. Archiving production datasource. Where needed, incorporate filters to selectively identify transactions to archive, then automate and run in off-peak times. 2. Purge job logs. While not a traditional archive function, removing any job logs without transaction-related activity will improve performance and your system user interface. 3. Communications archives. Don’t forget to address your AS2 and FTP ‘Sent’ archives. 4. Physical file archives. Zip and store documents from your ‘Sent’ and ‘Archive’ folders offline. For more ideas, download a free version of SpaceMonger to identify the target repositories to further shrink your system footprint. Your users will thank you. If you have more questions about data storage, contact one of our EDI experts at 1.877.944.4018 or send us an email.